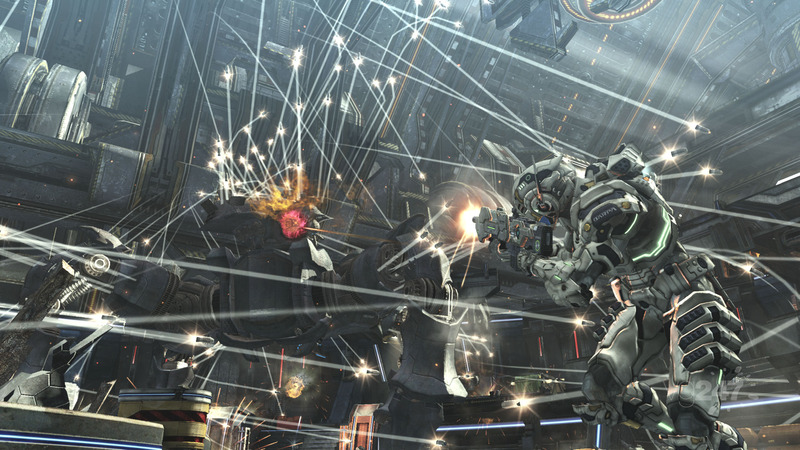 Sega has released nine screens for its sci-fi shooter Vanquish. Catch ’em in their glory after the break. Vanquish is a third-person action shooter which sees players take the role of Sam, a government agent kitted out with a futuristic battle suit. Russia and the United States are vying for ownership of the world’s fast-depleting energy resources and it’s your job to stop the Russians before they destroy New York. It looks like a blast, as you can see from the gameplay trailer. Sega will be presenting the game at E3 this week, so if there is any more news, we’ll be on it faster than a Russian looking to destroy the Big Apple.